I really do enjoy this attraction. It is located inside the Mexico Pavilion and is a nice way to relax for a few minutes. The ride is cute and fun. It is nice and cool on a hot day. It adds to the atmosphere in Mexico. The pavilion remains a favorite of mine for atmosphere. It does not matter what time of day, season of the year, outside weather, or anything. This pavilion transports you to Mexico. I see this attraction as a good way to get the kids to enjoy the pavilion. I can still remember the first time we visited Walt Disney World. My daughter was in 4th grade. She LOVED Voyage of the Little Mermaid. She is 24 now. Our family has a tradition of visiting that attraction at least once every time we are at Hollywood Studios. It has changed only a little over time; and is always so special to us. The magic of Disney World lives there in that show. It brings back so many wonderful memories of our many trips to Disney World. It also reminds us how much we love the movie Little Mermaid. It was the very first movie my daughter saw in a theater. My family visited Walt Disney World in December 2012. This attraction is one of our traditions. Every family has their Disney traditions, right? I love this traditional attraction because I know it is something Walt Disney created. The beautiful Sherman Brothers song "There's a Great Big Beautiful Tomorrow!" is the signature song of the attraction. It is all about optimism. The song connects me with the attraction. This trip was a little different from any other one. Robert Sherman passed away on March 5, 2012. So, I felt I little different when I experienced Carousel of Progress this time. His legacy lives on right there in Magic Kingdom in Disney World. I know what to expect from this attraction. Walt Disney hoped it would be a part of the Disney theme parks forever. I hope the same thing. Dec. 12-13: Disney added a new beverage to the menu at Tokyo Dining in Japan at Epcot. Frozen Kirin draft beer can be ordered there and at the Garden House and the Kabuki Cafe. I used to like an occasional beer, as cold as possible. This technique keeps a beer colder for 30 extra minutes. For a person who likes their beer cold, on a hot day, this can make a big difference. It is probably not gluten free, slight giggle. If somebody has tried this, I'd love to know how it tastes. Please do a review here and share your thoughts. The newest Disney resort in Walt Disney World is Art of Animation. It has been opening in sections. On September 15, 2012 The Little Mermaid section opened. This is the section that has standard rooms. In fact, there are 864 standard rooms in The Little Mermaid section. The pool is called the Flippin' Fins Pool! That really sounds fun. You will find large icons of Ariel, Flounder, Ursula, and King Triton located throughout The Little Mermaid section. I am excited to stay here! Disney has wonderful special events scheduled during the 2012 Epcot International Food & Wine Festival! The Food and Wine Festival runs from September 28 through November 12, 2012. At 10:30 am, every Wednesday during the festival you can experience The Marketplace VIP Access Chef Tour. Featured will be tastes from selected marketplaces around World Showcase Lagoon. You will also hear behind-the-scenes stories from the chefs. The tour comes with five (pre-selected) dishes and five beverages (wine, beer and cocktails). Expect the dining extravaganza to last about two hours. Cost is $90 (plus tax and park admission). This is just one example of the many wonderful displays you will see this year at the 19th Flower and Garden Festival! There are so many nuances to this year's festival. I found this as I was walking through Epcot. Disney imagineers don't miss photo opportunities, and this was one of them. take your time walking through Epcot, and you will find so many little things to photograph at this year's Flower and garden Festival. Disney somehow manages to make if wonderfully new every year! I am really getting excited about the newest resort being built in Walt Disney World. Disney answered the need for more family friendly accommodations with the new Art of Animation Resort. It looks to be another larger then life Disney vacation experience, and larger is a good word for sure to describe it. Disney put the marquee in place for this new resort. It is the largest free standing marquee on Walt Disney World property, measuring at 46 feet and 6 inches. It will only be a couple of months and this fun resort will be open!! I plan on staying there in December of 2012. The Kilimanjaro Safari is seeing an exciting rehab! Starting in the Spring of 2012 there will be changes made allowing the guests to see more animals, especially zebras! Say goodbye to the Audio-Animatronics “Little Red” elephant because that area will be reconstructed as savannah space and will feature a new watering hole for live animals. This enhancement is scheduled to begin this spring, and be completed by fall 2012. And don’t worry, the attraction will remain operational during the adjustment. I can't wait to see the change! 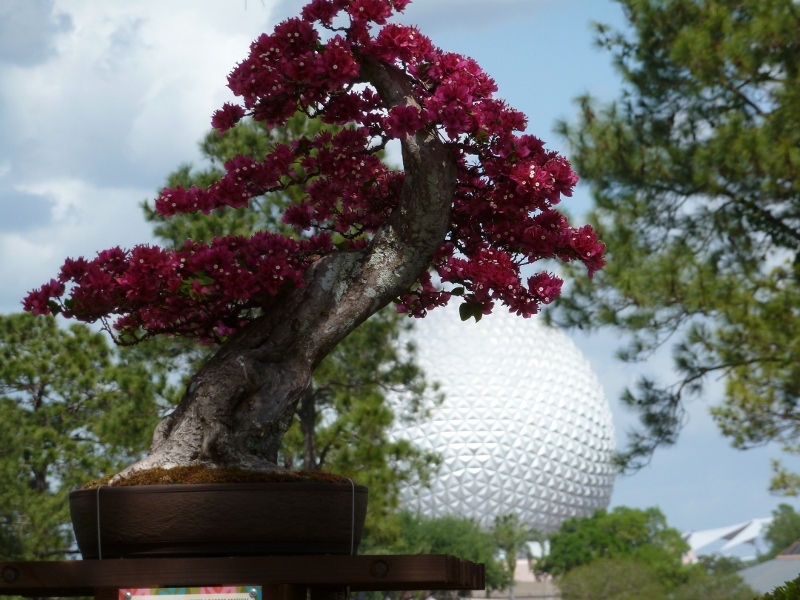 HGTV is still partnered with Disney for the Flower and Garden Festival, which is pretty exciting! It gives me the option to see HGTV stars if I visit the festival this year. Here is the schedule for appearances. Disney has a great line up for the Flower Power Concerts at the Flower and Garden Festival in 2012! There are a couple of new additions this year. Here are the scheduled performers. 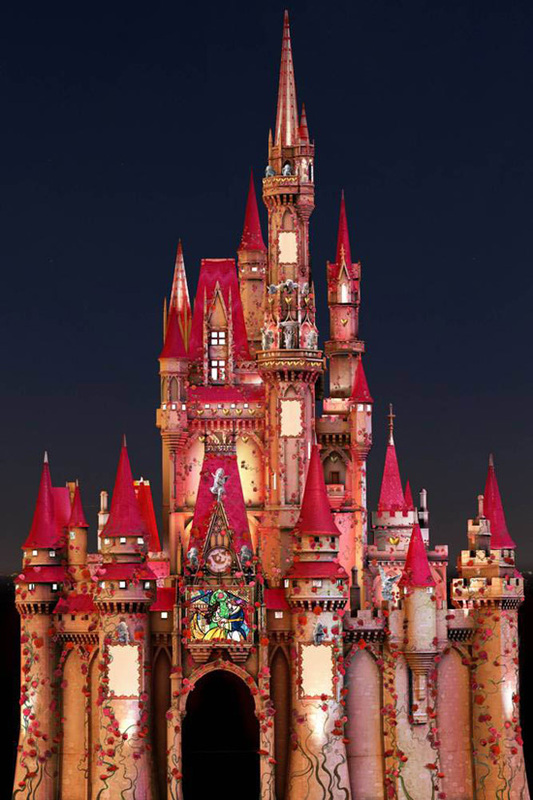 Peter Pan's Flight in Magic Kingdom will see a slight renovation, but not to the ride itself. The queue will be renovated starting in January, 2012, and will be ready by March 7, 2012. This very long queue area will have an interactive game for guests to play while they wait. The attraction will remain open while the work is being done. My family loves to dine at the Rainforest Cafe! Even when we travel with a Walt Disney World dining plan, we plan an out of pocket expense to experience Rainforest. We just enjoy the food and atmosphere there so much. I am so happy to find out that we can now use our Disney Dining Plan to dine there! It will take one dining credit from your Disney Dining Plan. Thank you, Disney!! I am pretty excited that Walt Disney's Enchanted Tiki Room is opening on August 15, 2011, and will be under old management! The attraction is said to have gone back to its original state, with some updates and modifcations. I think those of us who missed the original Tiki Room will be happy. On embarkation day we had lunch in the Enchanted Garden. It was a lovely way to meet the Disney Dream. We had one dinner there as well, also very enjoyable. The restaurant has a cozy feel to it and the food is delicious in all of the Disney Dream restaurants. Disney has perfected the art of the quick service meal on a cruise ship with this restaurant. I love it! Breakfast in the Cabanas is tasty and there are plenty of choices. Be sure to check out the fresh mango yogurt. And, if you want a quick lunch, the Cabanas is sure to please as well. Karamel-Kuche, which translates to Caramel Kitchen, has opened in Germany at Epcot! This very unique candy store truly is all about an experience, and again Disney creates a fun vacation experience that is timeless. You can watch cast members while they make caramel apples, caramel covered strawberries, caramel popcorn and marshmallows. Sounds like fun to me! This free standing location, which took the place of the closed Glas und Porzellan shop, is the only free standing location in the world that sells only Storck candy. Storck is the maker of Werther's Original Caramels. Gourmet caramels, brownies, cookies, cupcakes and fudge are available at this delicious little sweet shop, and of course Werthers candy! You can shop at the two little shops, and find a spot right outside, in the World Showcase Plaza, for the very best spot to view Illuminations in Epcot at Walt Disney World. Get there at least 45 minutes early to get a good spot, because this area gets crowded. Keystone Clothier is right next to Mickey's of Hollywood, where the Hollywood Studio's Parade starts. It comes out on to Hollywood Boulevard, and for a real good spot to view the parade, you can stand between Mickey's of Hollywood and Keystone Clothiers. Keystone Clothiers is a nice place to shop for Disney oriented clothing that is geared more toward adults. You will find an assortment of trendy, stylish clothes, watches, jewelry and more. The Merchant of Venus shopping venue, at Magic Kingdom in Walt Disney World, is located in Tomorrowland at the exit to Stitch's Great Escape! attraction. You will find lots of Stitch souvenirs in this shop, and Tomorrowland offerings are also there. It is a fun shop to walk through. I have found some nice T shirts there. When you visit Hollywood Studios in Walt Disney World, you must stop by Sid Cahuenga's One of a Kind. This little shop is located just inside the entrance to the theme park. You will find memorabilia there that will be 'one of a kind'. It is one place that will have photograph's of Walt Disney. They also carry different celebrity items, some autographed. I have to say, this is one of my favorite attractions in Walt Disney World. There is a feel to this attraction that seems to transcend time. The Liberty Square Riverboat gives me a chance to have a look at the park from a different angle, and takes me on a ride through a bit of history at the same time. I love how it looks at night, lit up, and I especially love how it looks during the Fall, when Mickey's Not So Scary Halloween Party is going on. Don't miss stopping and taking a look. If you hang around long enough, you might even see a ghost! The Hall of Presidents at Magic Kingdom in Walt Disney World is another old time favorite of mine to visit. This is a fine example of Disney sharing the history of the United States of America. Each president speaks, and you can feel the tone of their voice. When a new president is elected, Disney updates the attraction. Add the air conditioned hall into the mix on a hot day, and really, it is a wonderful attraction. This is a cute little store in Adventureland at Walt Disney World's Magic Kingdom. You can find surfing gear here, island wear, grass skirts, leis, etc. This is a fun store to stop in, and a great place to buy a Polynesian style party shirt! If you are looking for a special Christmas decoration, to remember your Walt Disney World vacation by, Ye Olde Christmas Shoppe is the place to look. This shop, located in Liberty Square, at the Magic Kingdom in Walt Disney World, is very festive inside. This really is a fun little store to shop in. You will find lots of things with the Planet Hollywood logo here; shirts, sweatshirts, hats, and different apparel. This store is in the perfect location, as you enter Hollywood Studios at Walt Disney World. It has the things you might have forgotten, film, batteries, etc. They carry rain slickers, and autograph books, and all kinds of little items of that nature. In Epcot, at the Living Seas Pavilion, is this little gift shop. It is the best place to find anything Nemo themed! This is a cute little store with a pretty wide range of items. This attraction never gets old for me. Crush really talks to the guests! I love watching the little kids and adults alike enjoy the fun. I love the interaction. Dude!!!!! This is a favorite spot of mine to shop. You can wander your way through France in this store. They sell lots of little trinkets, which is fun and interesting. These are true France souvenirs. If you like French perfume, then you must visit this store. It is located in Epcot, in the France Pavilion. There is a little show that happens right in front of the Chef de France restaurant, in the France Pavilion at Epcot. It is a funny, quirky who with two waiters. I have seen this show a million times, and enjoy it every time! it is cute and funny. The show goes on several times during the course of any day. You will enjoy it! This store is located in the Japan Pavilion at Epcot. There is a very wide assortment of shopping experiences in one store. You can find fancy kimonos, cultured pearls, all the way down to little toys that are inexpensive. They sell Lucky Cats there. Lucky Cats are cute little cat statues, and each color represents something different. You can find the lady that does candy art in front of this store, and they also sell bonsai trees. Disney has some real gems for stores in Walt Disney World. The Animation Gallery is one of those gems. You can find some beautiful Disney Art in this store. Even if you don't want to buy anything, to walk around and browse is so wonderful. This is a unique shopping experience, and it is located in Hollywood Studios, in the Animation Courtyard. The Animation Courtyard Shops is such a fun place to shop! You will find princess costumes there, and Disney themed games, and lots of fun things geared toward anything Disney animated. I got the cutest little Tinkerbell watch in there; it clips on to my purse. It came with a little beaded, teeny tiny purse, and it has a bell on it. I think it is for pixie dust. This darling shop is located in Hollywood Studios at Walt Disney World, in the Animation Courtyard. I was able to experience this attraction, after having traveled a gazillion times to Walt Disney World, and it not being open. I was so happy to see it open, and LOVED it. Knowing Walt created it, and feeling his thoughts in it really was amazing. Walt Disney World provides to many different types of entertainment options. This is a mainstay, part of the heart of Walt Disney World's Magic Kingdom. This store in the Magic Kingdom at Walt Disney World, is located right near Space Mountain, in Tomorrowland It is a very large store, with a wide assortment of goods. You will find plush galore there, lots of tshirts and sweatshirts, toys, an assortment of film and sunscreen. There are two stores located in the World Showcase, right by the boat launch near the entrance to Futureworld. it is a major hub there, and the perfect spot for these stores. One store has mostly gift things, and the other has children's merchandise. It is a great spot to find souvenir type trinkets; in either store. This little store is one of my favorite places to shop in Magic Kingdom, at Walt Disney World! It has the cutest things, trinkets, pretty skirts and shirts, bright colorful things. The feel of the shop is really fun; like a bazaar should feel. It is partly inside, and partly outside. If you are looking for a unique watch, look no further then the Sunset Boulevard Shops at Hollywood Studios in Walt Disney World. They always have something truly unique there, and the cast members who work there are very friendly and knowledgeable. I have found some really nice watches there, and I always stop to shop there when I am at Walt Disney World. Youse Guys Moichendise is such a cute little store. You can find sports themed items there, along with other assorted oddball souvenir type items. It is located along the Streets of America, in Disney's Hollywood Studios. The Writers Stop, in Disney's Hollywood Studios, is located on the way to the back lot, just after the Sci Fi Dine In Restaurant., This is a favorite store of mine, in all of Walt Disney World. It is small, and has a cozy feel. In the back you will find comfortable chairs, and you are welcome to peruse a book a two. They serve coffee, and yummy things to go with the coffee. They sell books, coffee, and coffee type items; kitchen stuff. I have found mugs there, that no one else had. It is a unique little store. This is an enjoyable tour! It gives you a glimpse behind the secrets of Disney animation. The tour itself lasts about 15 minutes. You are invited to enjoy the interactive options after the tour. The Sound Stage allows you to play around with different sound affects, and create a sound track. Digital Ink and Paint gives you the chance to create an animated scene. You're a Character asks you lots of questions, and in the end tells you what Disney character you are most like. This is a favorite shopping place for me when I visit Epcot. I love to browse this store and see all the Canadian style clothing and souvenirs. The cast members here are always so friendly and happy to answer questions. You have to stop in Canada at Epcot and see the band Off Kilter! They are absolutely the best! You will enjoy their sound, I promise. I love this band so much that I have a few of their CDs I purchased while visiting Epcot. This is such an overlooked feature at Epcot.. Victoria Gardens is so beautiful and peaceful looking. It is a small area, in Canada, by Le Cellier Steak House. The flowers are always perfect, as is the shrubbery. It is certainly a prefect spot to find a peaceful moment. The Garden View Lounge is located at Walt Disney World Grand Floridian Resort and Spa, in Walt Disney World. This is a very unique setting, and you can attend a Tea Service there. This tea is so special, truly English in style. This dining experience is a fine example of being immersed in a theme, while enjoying wonderful food. This little spot, located at Disney's Hollywood Studios in Walt Disney World, is easily missed. it is behind Keystone Clothes, by Min and Bill's. You will find little snacks here, and beverages. Mostly fruits snacks; grape cup, apple slices, carrot and celery sticks, and other nutritious snacks. This location also sells the frozen concoction style drinks. These are so refreshing on a hot day. There are lots of benches in this area, and shade, too. This is an excellent place to stop for a quick bit that you can eat as you walk along. They have sweet cream cheese pretzels here... YUMMY! They also have the smoked turkey legs, a famous food in Walt Disney World. You will also find a god assortment of beverages to choose from. You don't need a theme park ticket to go to Downtown Disney at Walt Disney World. This area is loaded with fun and excitement. There are all kinds of different shopping options, and eating options, you name it! The World of Disney is located in Downtown Disney. One of my favorite things to do is to get ice cream, and sit and people watch along the water. There are usually different street entertainers, and the feeling is always very festive. This is another great Walt Disney World dining experience. You will get the feel of being in the Caribbean all the way. The wait staff are friendly, and will go that extra mile to make y our meal special. Try the red snapper. You won't be disappointed. This attraction never gets old to me; there is so much to see in it. I love to meander through the exhibit, looking at every details. I can imagine Walt sitting at his desk, creating magic. This attraction is like a museum, and I hope Disney never gets rid of it. It is about Walt Disney, the man who started all of this magic. The movie is also a must see part of the attraction. I cry every time I see it.